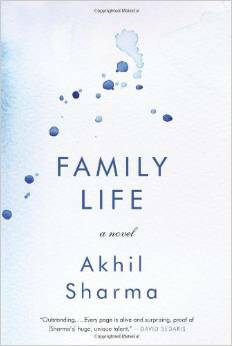 Akhil Sharma follows his award-winning debut, An Obedient Father, with Family Life, a first-person bildungsroman about a boy and his older brother migrating to the United States East Coast from India in the late 70s. The blurb on the book jacket introduces the story with, “Life is extraordinary until tragedy strikes, leaving one brother severely brain-damaged and another lost and virtually orphaned in a strange land. Ajay, the family’s younger son, prays to a God he envisions as Superman, longing to find his place amid the ruins of his family’s new life.” From this introduction to the book, I imagined Family Life to be a wondrous adventure with a deity that Ajay Americanized to understand his new reality. Instead, the story evoked aspects of modern Gothic horror. Page after page, Sharma creates an intimacy that invites self-reflection; the book is simultaneously a meditation on grief and loss and, with its deconstructive reading of Hemingway’s writing style, a workshop on writing. Early in the story, Ajay’s mother asks, “Where is Ajay? What was the point of raising him?” After Ajay’s older brother, Birju, becomes a brain-damaged paraplegic, the relatively carefree younger brother learns to grow up fast. Throughout the novel, I was struck by Ajay’s desire to retain a strong connection with India. But India was more than a country to Ajay; it seemed a place and a time that existed before his childhood and innocence was taken from him in a swift and tragic three minutes under an indifferent August sun. The book portrays the immigrant experience through a cultural divide between immigrated Indians and established Americans that Ajay refers to throughout the story. The book’s jacket mistakenly identifies the God in Ajay’s imagined conversations as Superman. It is, in fact, Superman’s alter ego, Clark Kent. The difference is subtle, but significant in meaning. Superman is the embodiment of the American dream. He comes from an alien land (literally another planet), and possesses powers of which natives can only dream. Superman struggled to maintain a connection to his own dead culture, while hiding in plain sight as “mild-mannered” Clark Kent. Ajay seems a boy growing into a man who strives to stay connected with his ancestral culture. He does his best to blend in, not only as an immigrant, but also as someone whose family is at least overtly like everyone else’s, just like Clark Kent. It is noteworthy, therefore, that Ajay deifies a fictional character struggling with his place as an immigrant. Sharma’s narrative breaks many “rules” of strong effective writing. He tells the reader how a character feels instead of demonstrating it through action or dialogue. There is almost no action or tension created to move the story. Ajay lacks an overt, tangible character arc in which he grows. Despite these anti-conventions that would doom a less-experienced novelist’s efforts, Family Life grips the reader. Sharma’s writing style, perhaps an emulation of Ernest Hemingway whose works Ajay studies in the novel, captivates the reader through its simple language. 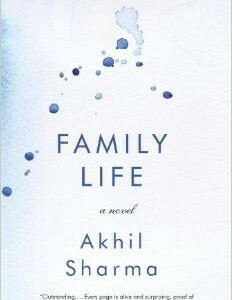 Other reviews have compared Sharma’s writing to Fyodor Dostoyevsky, and Sharma himself referred to Anton Chekhov’s influence on Family Life in his article in the New Yorker (April 7, 2014). Sharma writes, “Reading Chekhov, I began to wonder what it would be like to remove sound, feel, and smell, and to leave just visuals and dialogue and introspection.” He continued, noting its effect, “Without the stickiest parts of the sensorium, the reader moves through the narrative rapidly and so asks different questions about why time is collapsed or not collapsed, or why a scene is dramatized or summarized.” This unique style alone warrants reading the novel. In the haunting aftermath of reading this novel, I’ve been unable to look at no-diving signs at swimming pools quite the same. Fear of being a paraplegic was omnipresent throughout the read. The tragedy plunges Ajay’s father into alcoholism. When Ajay’s father says to him, “You are sad? I feel like killing myself every day,” it epitomizes the torture Ajay experiences every moment in his home life. Ajay’s father wants to be rich, while his mother yearns for status. Birju had planned to be a doctor and had been accepted into the Bronx Math and Science School when tragedy struck. Ultimately, each family member seems to be as broken and shattered as the brother who was left literally brain-damaged and paralyzed. Like other immigrant stories, Family Life holds the enticement of the American dream. But the vehicles expected to deliver this promise leave one short of the desired happiness unless one’s outlook shifts to adapt to the realities of the new land. The story’s final sentence felt like an acceptance of this reality: the quiet, meditative undercurrent touches on the grief and loss of dreams that will never be realized. 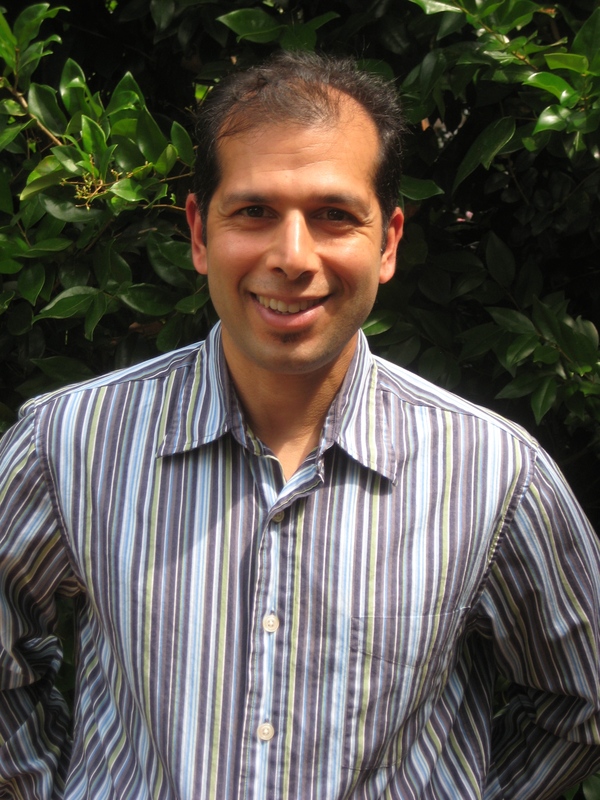 Sandeep Kumar has a Masters in Counseling Psychology, practicing psychotherapy in Portland, OR where he and his wife are raising their twins. Heavily influenced by Jungian psychology, and a fan of meaningful science fiction, he is writing a multicultural science fiction novel, Transcending Maya, which takes place after the Earth is uninhabitable. The remaining humans are South Asian Fundamentalists tasked with colonizing a new planet.